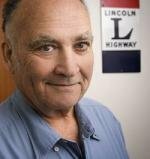 Long-time Lincoln Highway advocate Rollin Southwell passed away suddenly on Sunday while in Iowa. 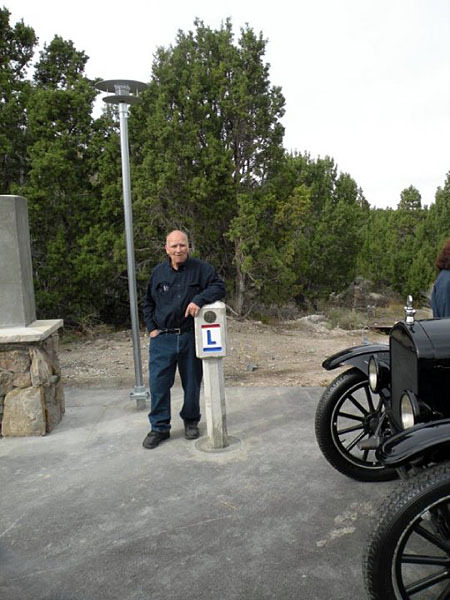 Among the many contributions of “The Man from Utah” to Lincoln Highway history, preservation, and promotion was the conception and creation of a monument to Carl Fisher in central Utah. Rollin’s family has planned a service for Monday, April 1, 2013, 11 am at the Twenty-Seventh East Ward, 185 North P Street (corner of 4th Ave), Salt Lake City. In lieu of flowers, Marie Southwell, Elizabeth Southwell, and Robert Southwell ask that donations be directed to the Utah State Historical Society in honor of Rollin’s love for historical research, particularly the history of the Lincoln Highway.